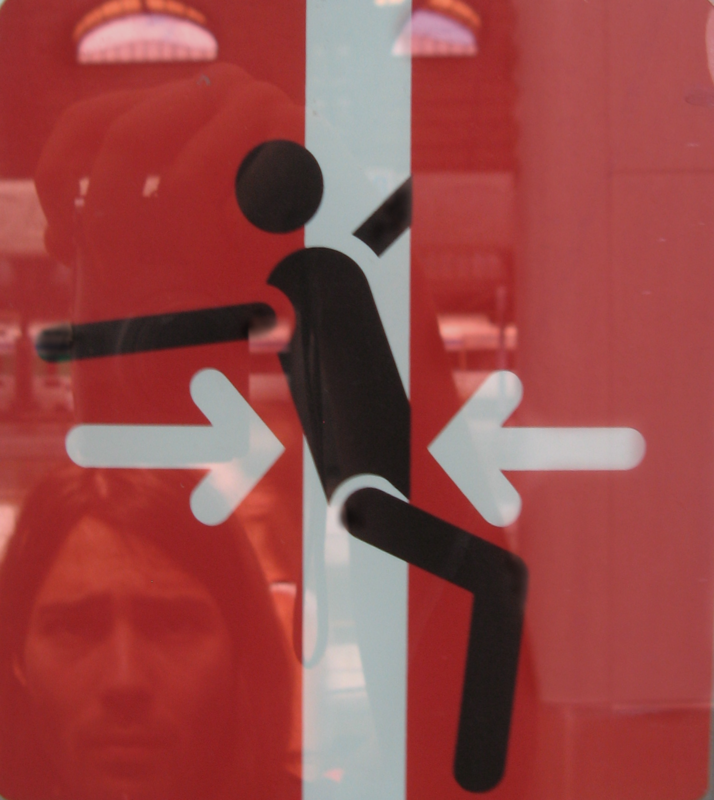 Of course I do not mean the crazy schematic man dancing between the closing doors of a train in Italy. I am rather the focused person making the photo, whose reflection can be seen in the background. You see me occupied with my favorite hobby: witnessing aspects of the society that are puzzling and in a certain sense beautiful at the same time. I try to imagine the person who made this image as a warning to the passengers: did they think that people caught by the train doors would be making this kind of weird dance? Was this mere lack of attention, or maybe even a subtle call to rebel against the closing doors? Like most other questions about society, this one is rather hard to answer with definiteness. In quantum nanophysics I like just the same: witnessing phenomena that are puzzling and beautiful. Due to that reason much of my recent work was about Majorana fermions. These are particles that are the same as their own antiparticles (most have heard this part). More fascinating facts about them is that they are also fermions that are not actually fermions, and particles with no internal degrees of freedom whose state changes after they are shuffled. However the best part about physics (as opposed to the study of society) is that mostly we can try and understand what is happening, or even think how to make something happen. These possibilities motivate me in my work as a theorist. My scientific trajectory is rather simple: I have moved to Leiden in 2006 after 5 years of undergraduate study in Moscow Institute of Physics and Technology. In Leiden I worked in the group of Carlo Beenakker for six years first as a master student, then a PhD, and finally briefly as a postdoc. During this time I enjoyed frequent visits to Delft, learning about the cool experiments that happen here. Eventually I even joined regular discussions of a couple of ongoing projects. So as you see my transition to the Kavli institute was gradual, and after a year spent as a postdoc at Harvard, I am finally very happy to begin here full time. I enjoy learning about open problems, running experiments, and unexpected results. To feel the pulse of research at the Kavli institute I want to meet with many people in the coming days. I am looking forward to learn about what is happening now, and what is going to happen soon. If I were to select just one thing that I want my coworkers to know about me, it is my attitude towards discussion. I always like to hear about new things, and I am always willing to help solving a puzzle. I hope that you will keep this in mind, and I wish everyone a great academic year.